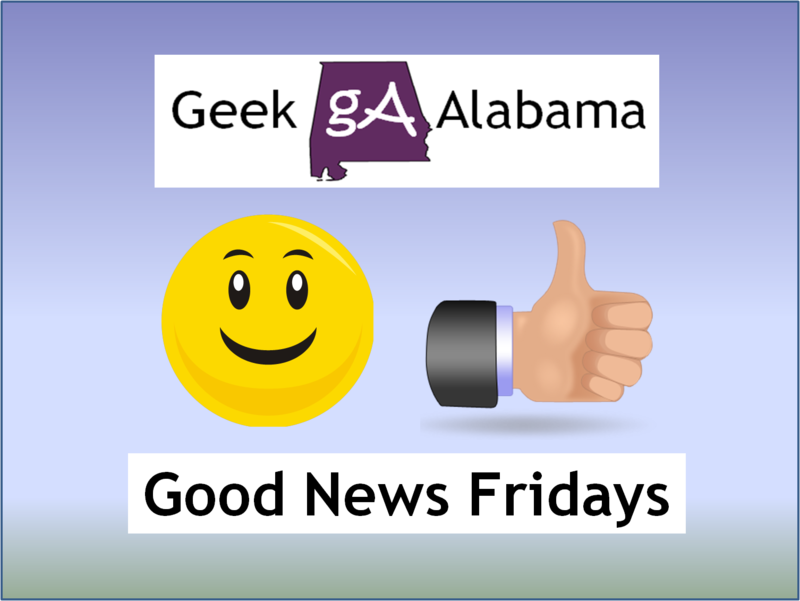 Post written by Carla Davis from Alabama NewsCenter. KultureCity is opening a whole new world for people with special needs, making them feel safe and comfortable everywhere from crowded, often noisy venues like Vulcan Park and Museum (VPM) to more familiar spots like the classroom. 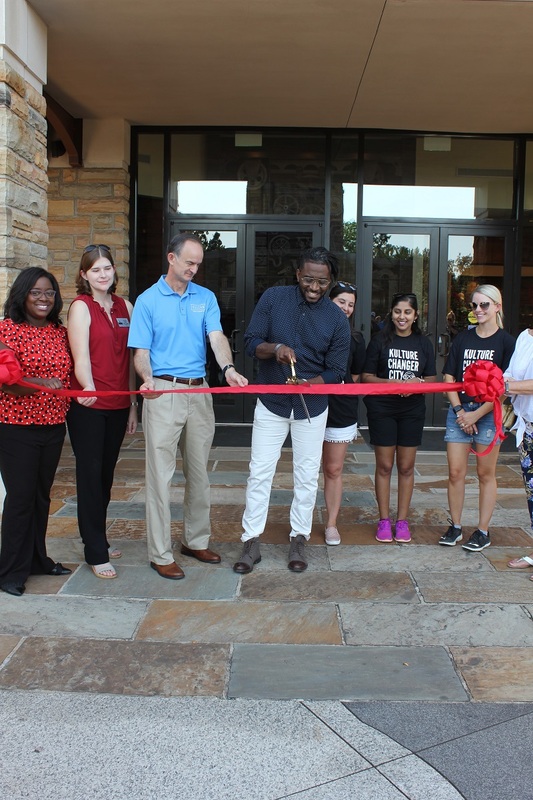 Through a partnership with KultureCity, VPM announced at a kickoff celebration Saturday that it has become one of the first historic sites in Alabama to receive sensory inclusive certification. This initiative will allow VPM to provide everyone, including those with sensitivities to sensory issues, a more positive, comfortable experience when they visit the park. The certification process required the VPM staff to undergo training led by medical professionals on how to assist visitors who may experience a sensory overload. Both indoor and outdoor quiet areas have been established for visitors. Sensory bags filled with fidget tools, verbal cue cards, weighted lap pads and noise-canceling headphones are available for checkout at the ticket booth and the information desk in the Visitors Center. The kickoff event began with a ribbon-cutting ceremony, breakfast and a giveaway of school supplies. Then, VPM threw open the doors early, allowing visitors to enjoy an unhindered, fun time exploring the newly equipped park and museum. “We’re excited that we can participate in this great initiative to make Birmingham an inclusive city, and we look forward to incorporating the principles we have learned in our educational programs at VPM going forward,” Watts said. KultureCity was founded in 2013 by Dr. Julian Maha and Dr. Michele Kong to build acceptance of people with special needs and help them realize their full potential. The couple was appalled at the public’s response to their young son, Abram, who was born with autism – a developmental disability that is often invisible until a person’s senses are overloaded. Because such a situation can cause frustration or worse, people with autism, dementia, post-traumatic disorder and other conditions may be shunned by society. Starting in Birmingham, Maha and Kong began creating a community that could fight for inclusion of all people with disabilities. Among that group is Jessica Perry, who has two children with special needs. Her 6-year-old son, Jacob, has Down syndrome, while Levi, 2, was born with a rare chromosomal abnormality. 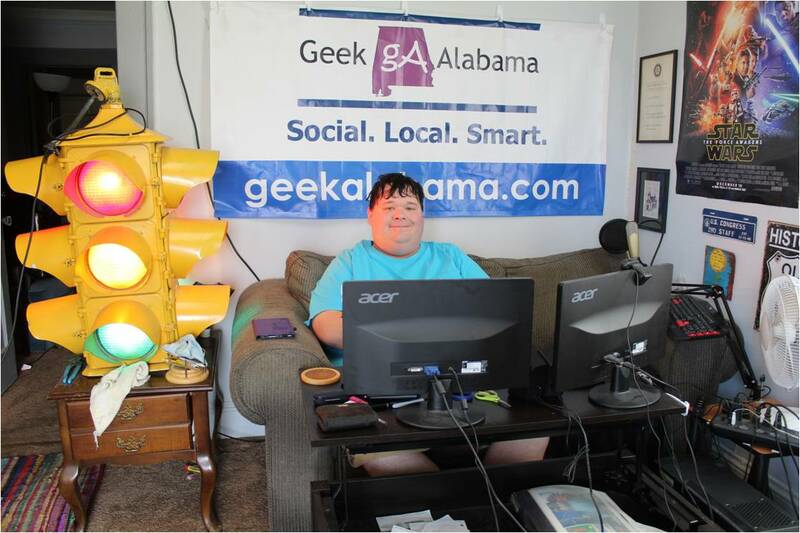 Perry said soon after Jacob was born, she got a call from Maha, who worked with her in Prattville, to offer support and invite her to join the KultureCity movement. KultureCity provides programs and resources to families to help their children with special needs adapt more easily into the community. They include a Bluetooth tracking bracelet, known as lifeBOKS, designed to prevent kids from wandering; fidget toys, weighted blankets, balls, and sensory, social and emotional cue cards that can help reduce over-stimulation; and tablet computers that can be used to help bridge communication barriers. 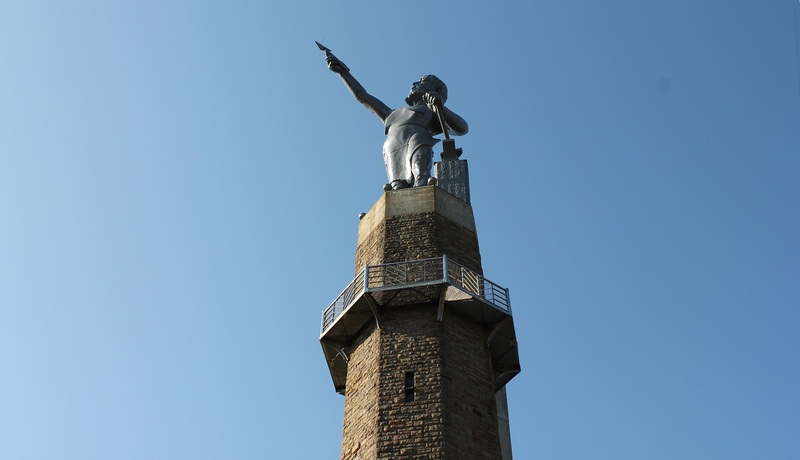 In addition to Vulcan, many venues and events have become sensory inclusive. Among them are the Super Bowl, 16 National Basketball Association arenas, five National Football League stadiums, five National Hockey League arenas and Birmingham’s Sloss Fest, along with zoos, aquariums and science centers. Schools are now more sensitive than ever to the needs of students with disabilities. 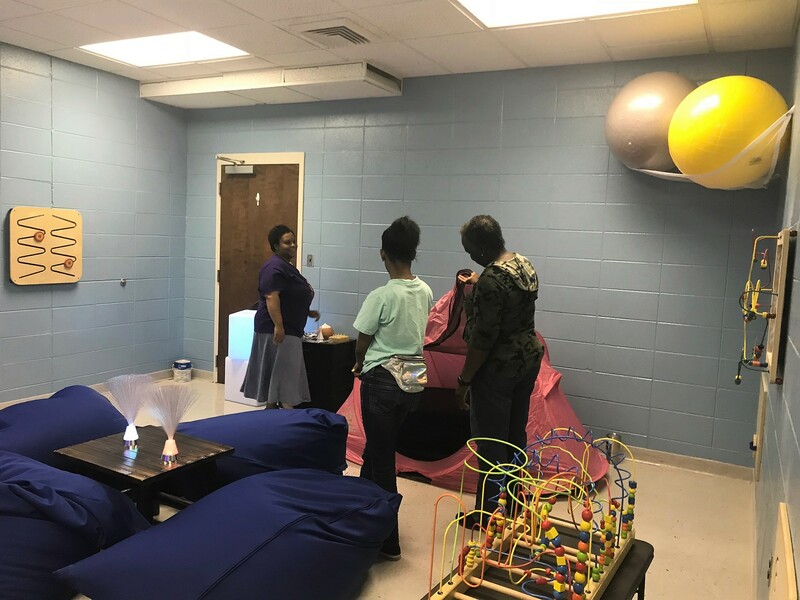 This summer, the Gaston and Eastern Division chapters of the Alabama Power Service Organization (APSO) have partnered with KultureCity to create a sensory room at Childersburg High School. 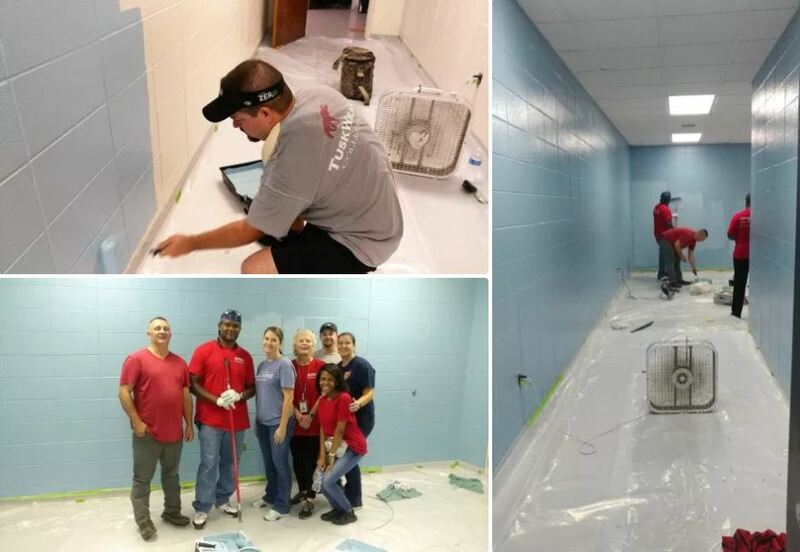 APSO volunteers spent two days painting the room and installing activity wall panels, kickboards, mirrored ceiling tiles and bubble walls. APSO also provided sensory putty, “comfy” socks, colorful fiber-optic lamps, beanbag chairs and a tent. The room is separated from other classrooms by a curtain of shimmering lights, offering the kids a safe haven. The Gaston APSO Chapter has experience creating quiet places. The volunteers made their first sensory room at Wilsonville Elementary School last year. 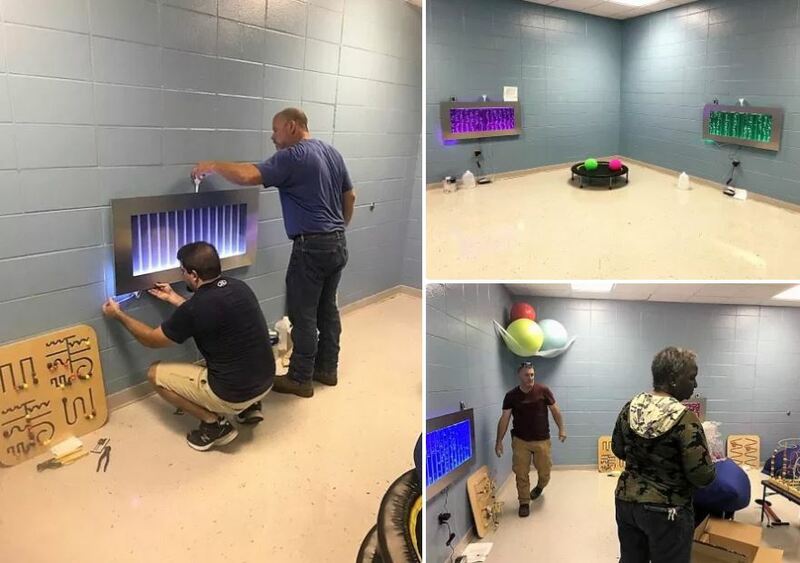 APSO will unveil the sensory room to Childersburg High School students Aug. 16. Maha said he is grateful to the people and organizations that have put their hearts into the KultureCity movement. Since it began six years ago, KultureCity has helped about 100,000 people across the nation.